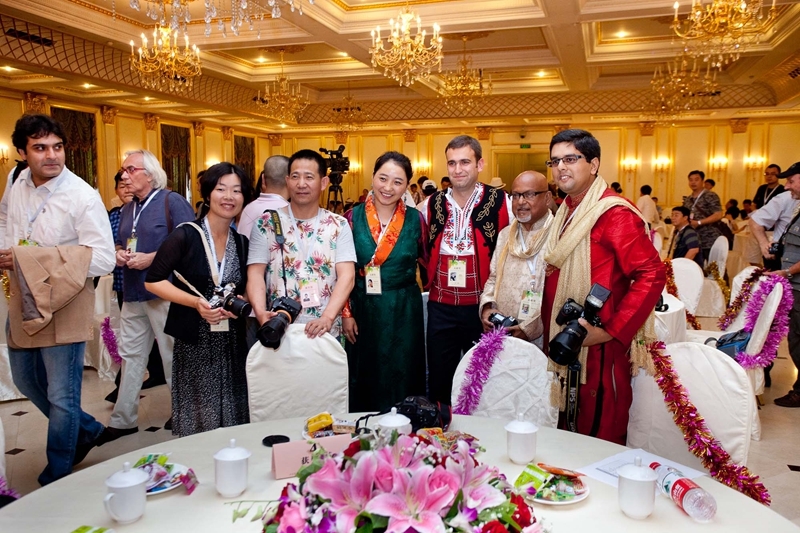 On June 24, the 5-day HPA13-14 event came to its conclusion with the last group of photographers leaving the Beijing Chateau Lafitte Hotel. 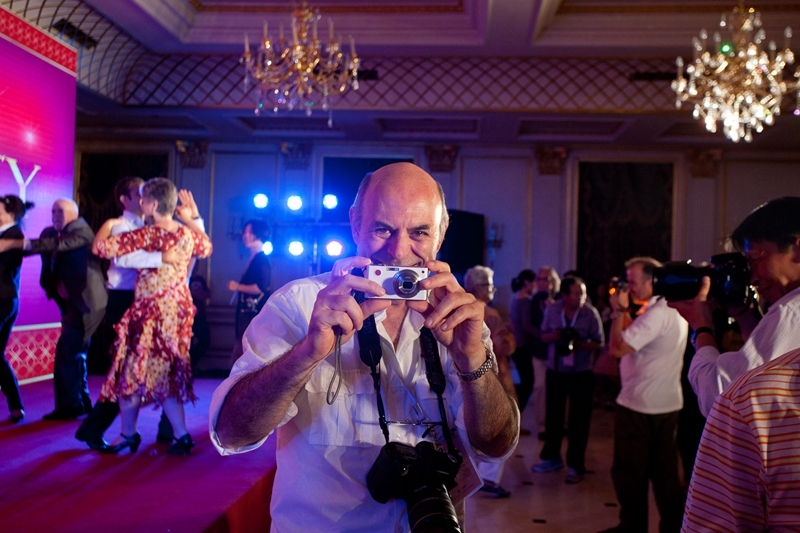 More than 200 hundred of photographers, guests, jury members, and journalists from 31 countries attended this grand event. 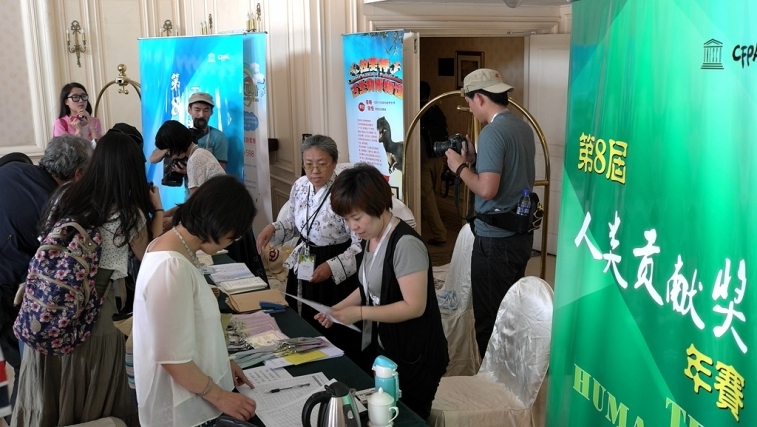 On June 20, Mr. Hans d’Orville, Assistant Director-General for Strategic Planning of UNESCO, Mr. Patrick Gallaud, President of the International Conference of NGOs, and nearly a hundred photographers from all over the world arrived at the Hotel preparing for the most important program – HPA2013 Award Ceremony. At 15:00, June 21, 2014, the long-expected moment finally came. The Fontainebleau Palace in Chateau Hotel became center of attention. At first, Mr. Hans d’Orville and Mr. Shen Che, on behalf of hosting organizations, UNESCO and HPA, delivered their welcome speeches. 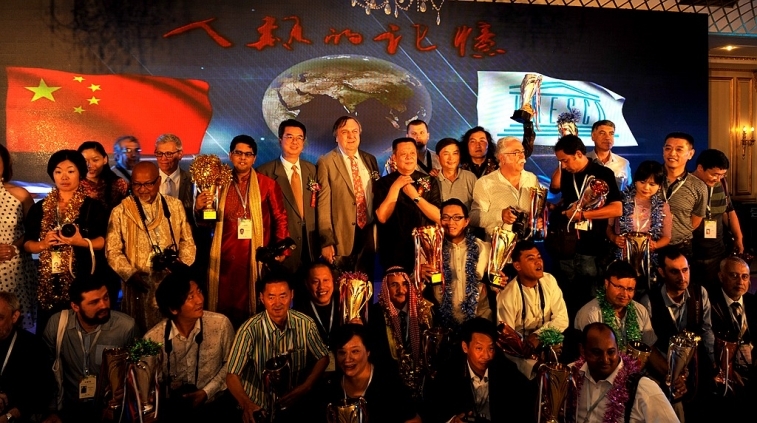 Afterwards, winning photographers were invited to the stage to receive awards and trophies. At last, Mr. Shen Che presented Memories of the Mankind VIII to Mr. Hans d’Orville and Mr. Patrick Gallaud. 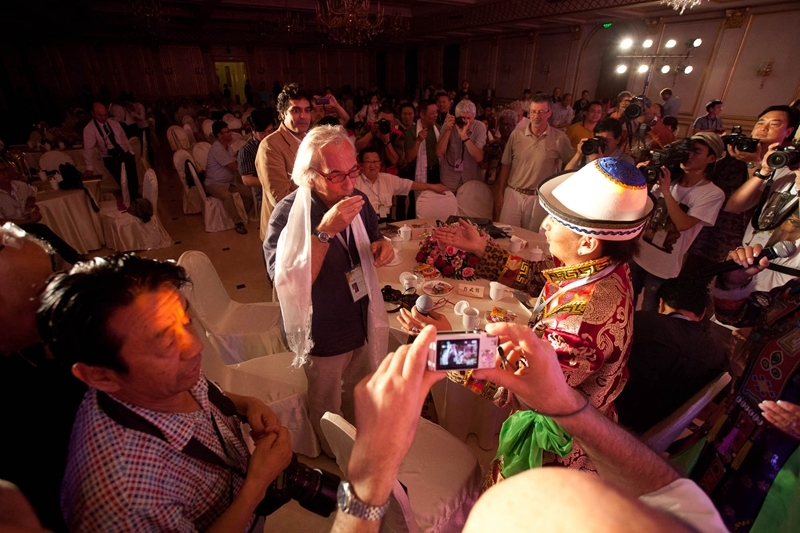 A winning photo show was held after dinner. Groups of photos of all six categories were shown on the big screen accompanied with folk music. At last, some photographers sang folk songs, performed modern and folk dances and told stories. The language barriers vanished and they enjoyed this moment. It belonged to them. 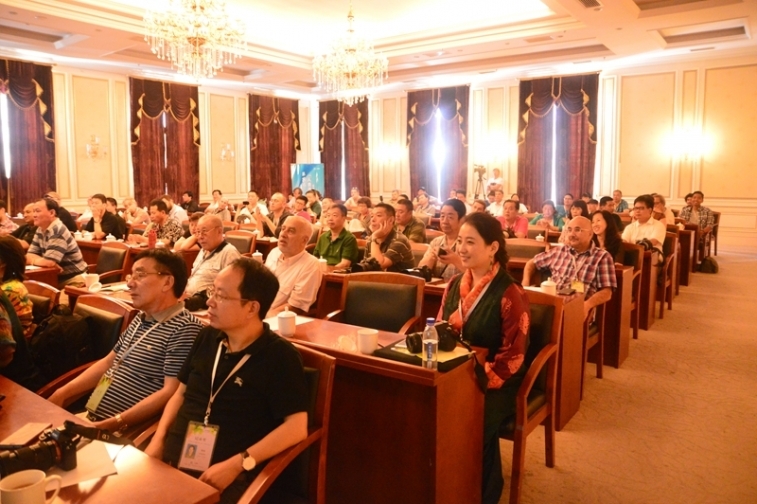 On June 22, Memories of the Mankind Forum was held at the Hot Spring Conference Center. At 8:00 in the morning, some photographers came to the Center to find good seats. 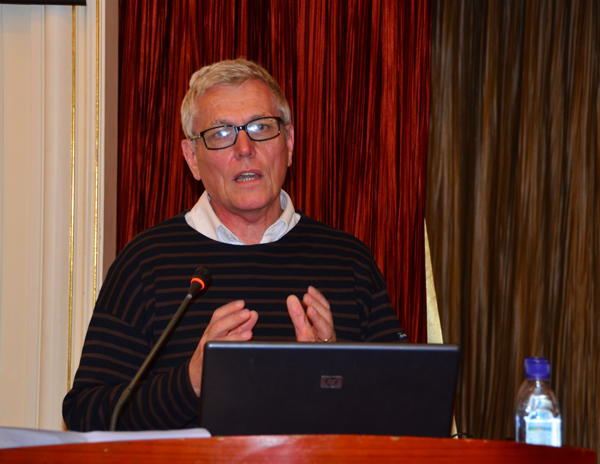 Mr. Patrick Gallaud attended the Forum and at the end delivered a short speech to congratulate the successful completion of the Forum and also expressed his hope to broadcast the Memories of the Mankind VIII DVD in the International NGO Conference to be held in Bulgaria in December. June 23 was for the tour of the Mutianyu Great Wall. The weather was clear with blue sky and white cloud. 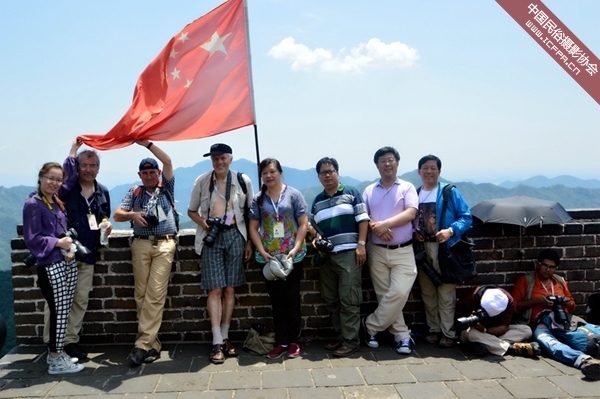 Photographers who came to the Great Wall for the first time were all amazed by the site. June 24 was for good-bye. HPA staff saw off guests with best wishes. The curtain was drawn close for HPA2013.